The CFCA represents the concrete floor industry and we are here to help ! 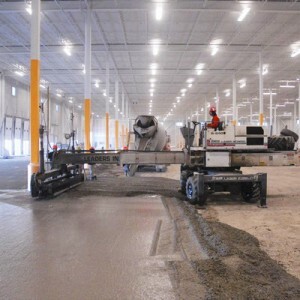 The complexities of concrete floor design, scheduling, changing technologies, quality expectations and hardened floor performance a big challenges in today’s Concrete Floor Industry. CFCA members are experienced concrete floor trade contractors having a minimum 5 years of experience. CFCA members must also agree to follow our industry Code of Ethics as well. 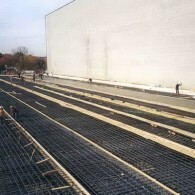 Whether you are constructing an industrial, commercial or institutional building, CFCA contractors and materials suppliers offer a wide range of concrete floor solutions to meet any of your customers needs. The CFCA is pleased to offer assistance with questions, concerns and opportunities for improvement. 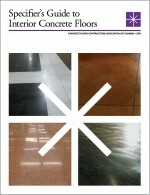 Please refer to our Technical Area and Materials Library for additional Concrete Floor information. Please feel free to call or e-mail if you have any questions, suggestions or concerns. Request a quote here ! The CFCA is a voluntary membership not-for-profit organization of quality oriented concrete floor contractors and materials suppliers. The use of CFCA members promotes a focus on safety, quality and integrity by supporting CFCA safety, technical, education, quality planning and ethics programs.